WADE SMITH'S 5th ANNUAL WADE'S WEEKEND! HOUSTON, TEXAS (February 17, 2016)- 12-year NFL veteran and former Houston Texans Pro Bowl left guard, Wade Smith, announced today he will return to his home city, Dallas, Texas, to host the 5th Annual Wade’s Weekend for The Wade Smith Foundation from April 22-23 to benefit area youth in education, literacy and sports and fitness. The Wade Smith Foundation was founded by Smith and his wife, Rita, in 2012 to provide community support for youth programs throughout the DFW Metroplex and Greater Houston Areas. Over the years, Wade’s Weekend has become one of the Foundation’s most popular events and this year it will precede the release of Smith’s new children’s book, Smitty Hits the Playbooks. Wade’s Weekend will kick off on Friday morning, April 22, with Smith and several sports legends and current NFL players bringing The Wade Smith Foundation’s (WSF) childhood literacy program, “Reading with the Pros” to several local Dallas elementary schools. The program, which allows star athletes to read to students and share their passion for education, returns to Dallas following a successful event in San Francisco for Super Bowl 50. On Friday evening, Smith will host a celebration at the Dallas Top Golf location, featuring “Reading with the Pros” awards and a silent and live auction to benefit the Foundation. The weekend will continue on Saturday, April 23, with Smith teaming up with professional dancers, cheerleaders, and former and current NFL players to host his annual youth Football and Cheer Camp for grades K-6 at the Lake Highlands YMCA. The free camp includes elite hands-on coaching and instruction from NFL players and veterans, college athletes and coaches. Participants in the cheer camp will learn and preform a choreographed cheer and dance routine taught by professional dancers and cheerleaders. 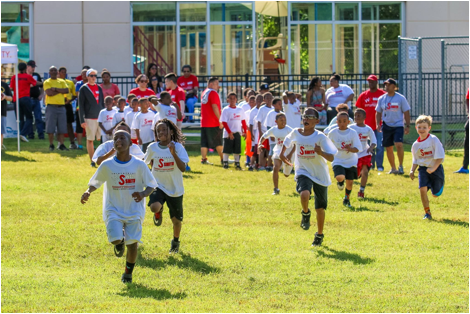 Following the camp, participants and families alike are invited to enjoy games, healthy snacks, and activities aimed to promote health and fitness. This year, Wade’s Weekend will conclude in Houston, Texas on Sunday, April 24, with the release of Wade Smith’s new children’s book, Smitty Hits the Playbooks, co-written by Jayme Lamm, freelance sports and fitness writer at TheBlondeSide.com. The short story, based on Smith’s own experience, shows young students and athletes the importance of staying focused and determined at school so they can achieve their dreams in life and on the field. 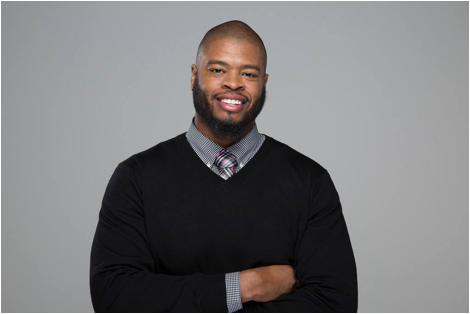 The Wade Smith Foundation was founded in 2012 by 12-year NFL Veteran, Houston Texans Pro Bowler, and Dallas-native Wade Smith. The Wade Smith Foundation (WSF) provides support for youth and community programs in childhood literacy and education, an annual scholarship program, and both memorable experiences and opportunities to cultivate and encourage the dreams and goals of deserving children and families. To learn more about WSF or to make a charitable donation, please visit www.wadesmithfoundation.org.